Spring Has Sprung at Clothes To Kids! 1) Students who qualify for Free and Reduced Lunch (FRL) are eligible to shop at Clothes To Kids using a copy of their FRL Letter. 2) Students attending one of the nearly 150 schools on our Universal Qualification List are eligible to shop at Clothes To Kids using proof of enrollment. 3) Students in foster or kinship care are eligible to shop at Clothes To Kids using any documentation proving that they are in foster or kinship care. Clothes To Kids in the News, Twice! 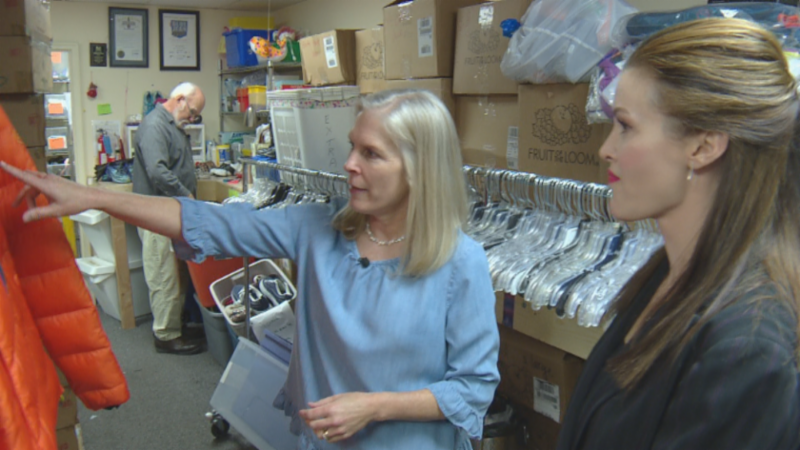 Channel 4 News visited Clothes To Kids of Denver on March 20 as part of a story about a local family recovering from a crisis. A special thank you to CBS Denver and reporter Melissa Garcia for connecting us with this deserving family and bringing attention to our mission. 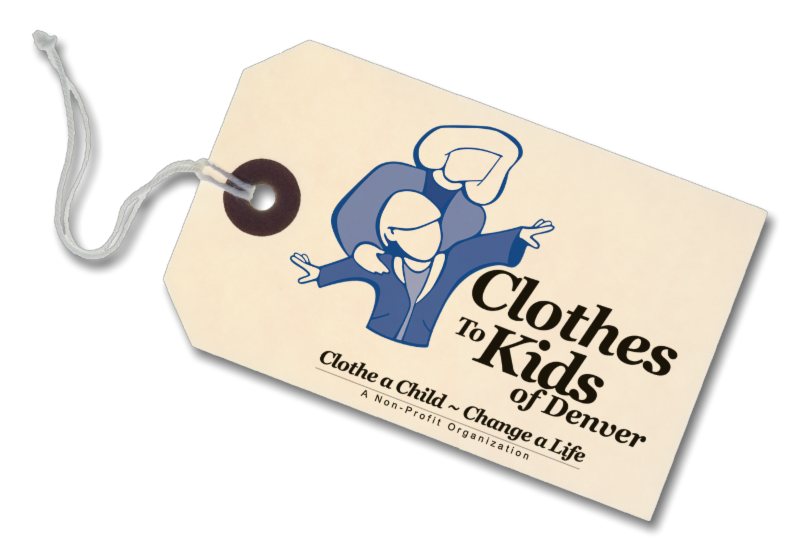 Clothes To Kids of Denver was featured on Channel 2 and Fox31 News on March 26. 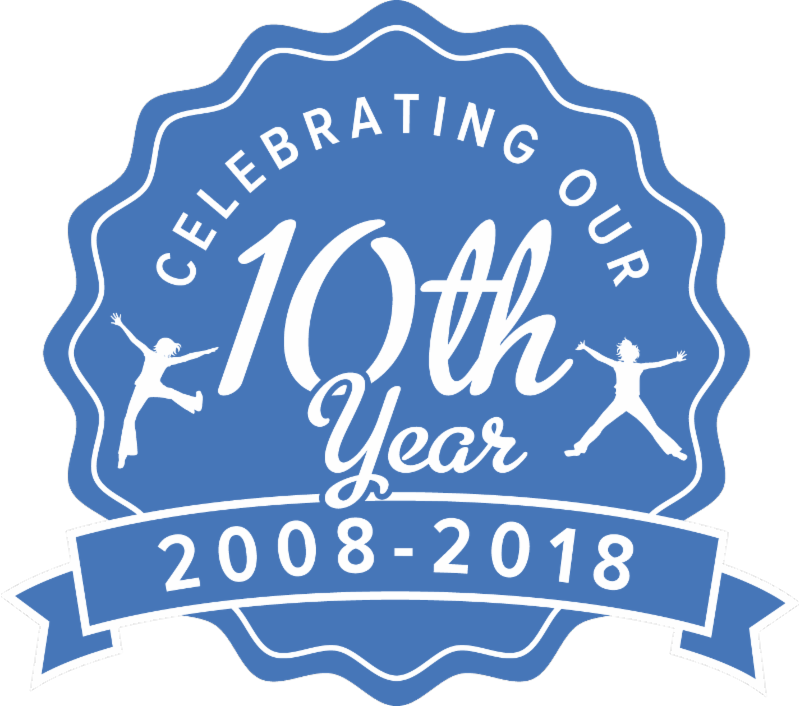 A special thank you to KWGN Channel 2 , KDVR Fox31 and reporter Deborah Takahara for helping us celebrate 10 years of service in the Denver community. This winter, the 5Zs Destination Imagination team at Slavens K-8 School decided to compete in the category of service projects and chose CTKD as their partner organization. This highly motivated group of 7th graders brought loads of creative energy to the project and made a huge impact for the clients we serve. Promoted the CTKD mission to the community. 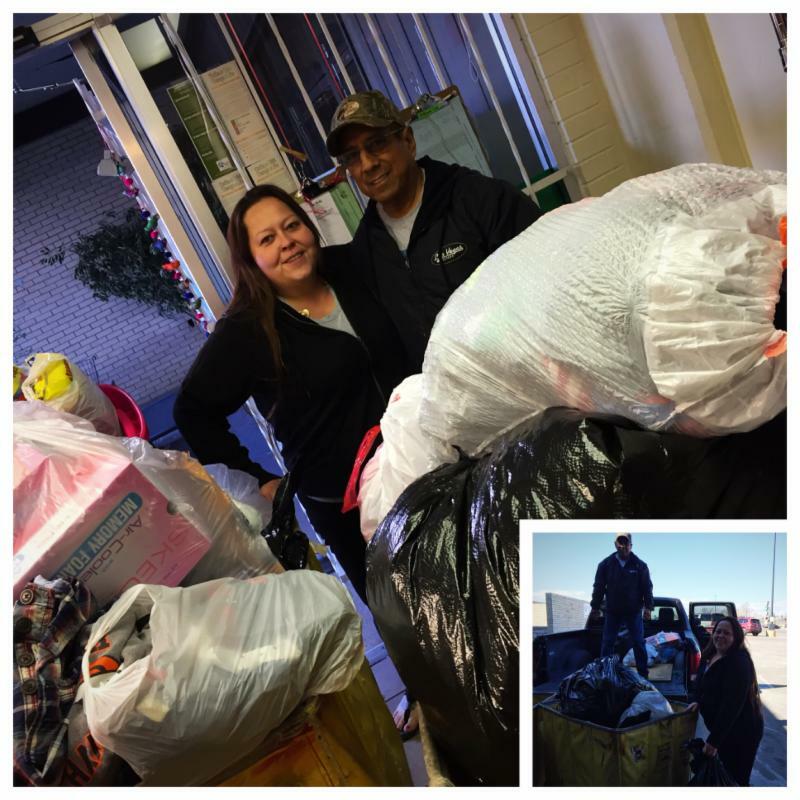 Collected more than 3,000 pieces of clothing, shoes and accessories (way more than they anticipated). Special thanks go to the Long family for housing the mountain of donations! Eliminated 1,000 items that weren’t appropriate for school kids and donated those items to the Red Apple Recycling program. Learned from CTKD staff how to sort, size and tag donations on their own, so the clothing would be ready to go to clients as soon as it entered the CTKD store. Volunteered at CTKD to help restock the store. Sponsored a fundraiser at Chipotle that raised $986 – enough to buy more than 900 pairs of underwear! 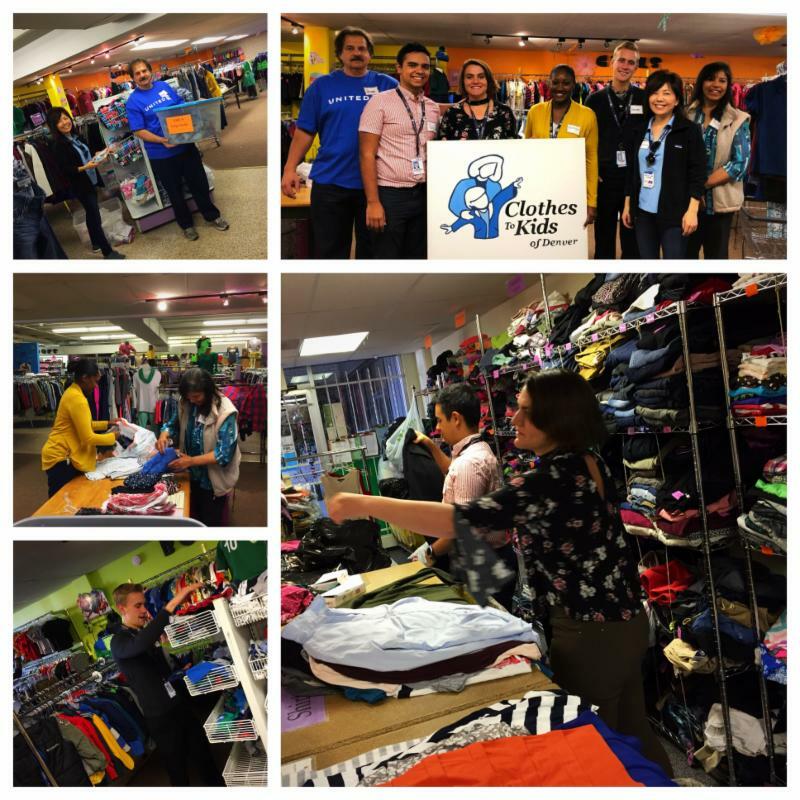 Helped CTKD develop some best practices for clothing drives. The 5Zs took 1st Place at the DI regional competition in March and are on their way to the state competition this weekend. CTKD wishes Catherine , Molly , Luke , Tate and Zach all the best at State and are grateful for all they did to help CTKD serve students in need. 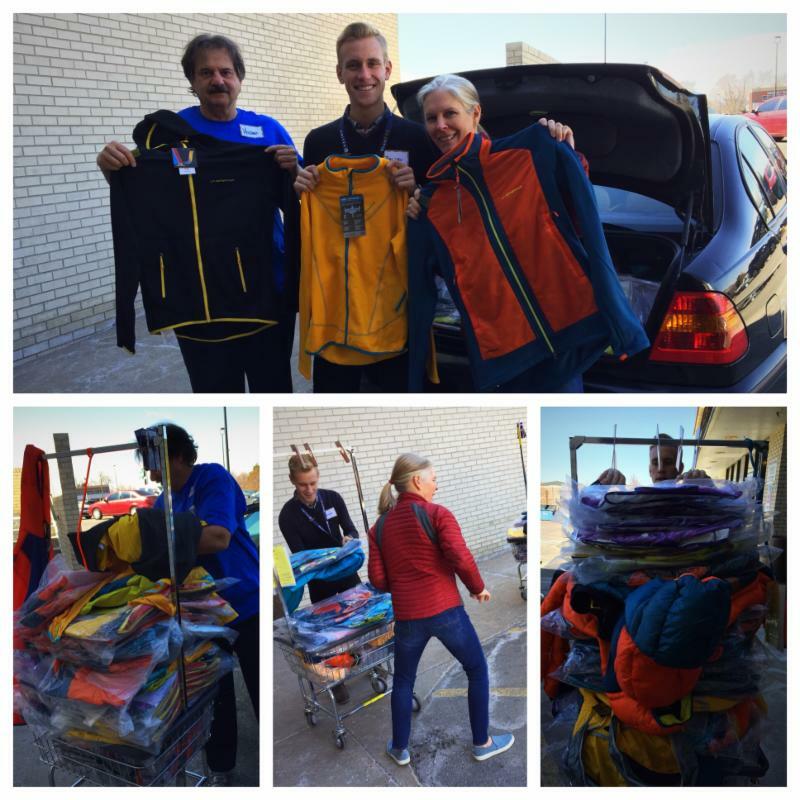 ﻿The Colorado chapter of Soles4Souls/Clothes4Souls shared 186 brand new La Sportiva coats with our boutique last month. The coats are absolutely beautiful and already have been a big hit with our shoppers. 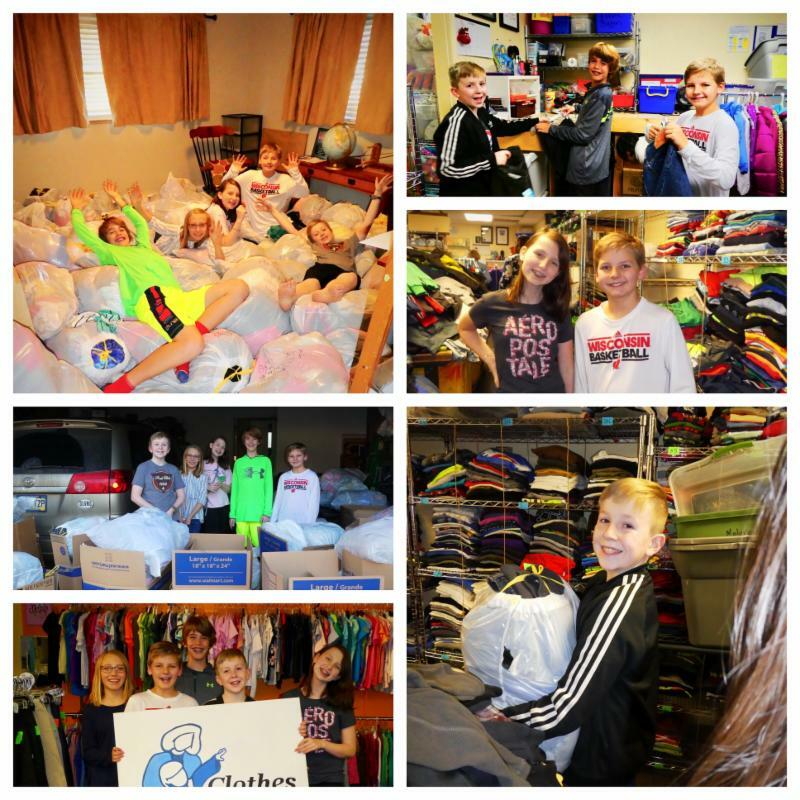 Thanks for helping keep so many kids warm during this snowy spring! ﻿We loved hosting a volunteer group from United Airlines on March 13. This seasoned group of volunteers sorted, tagged, cleaned and organized, and did lots of heavy lifting to move the big donation of new La Sportiva coats into our boutique. Well done! The team at Santiago's Mexican Restaurants held an incredible clothing drive for Clothes To Kids of Denver last month . By the time they were done unloading, t he pile reached from the floor the the ceiling! A majority of the items were new...including lots of shoes, underwear and socks. 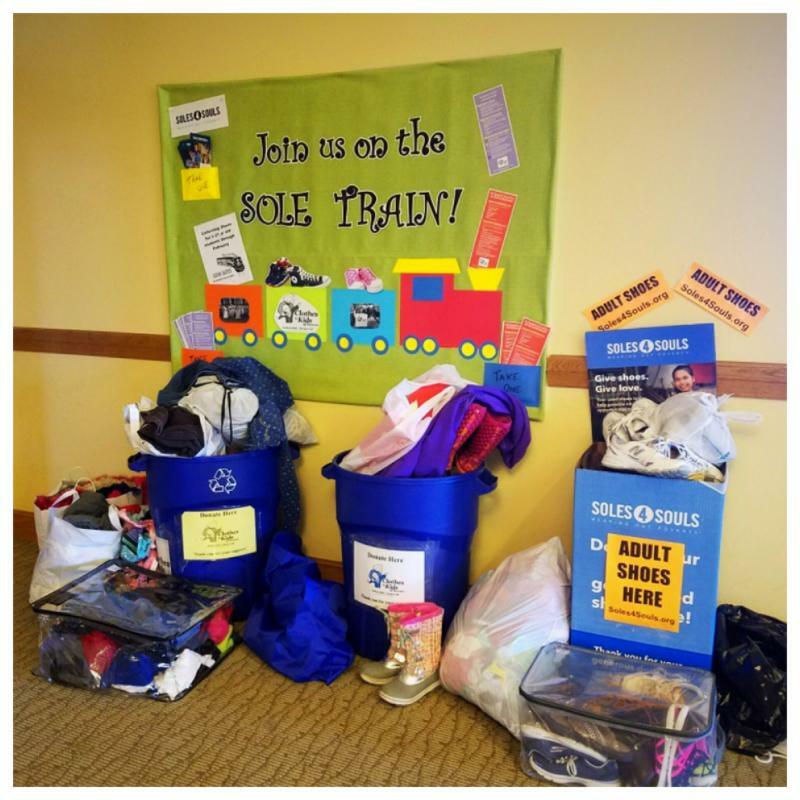 The generous congregation at Lord of the Hills Lutheran Church hosted a Sole Train Shoe Drive in early March. Shoes for elementary school age boys and girls are our number one most needed item, and their support will help hundreds of our younger shoppers ! 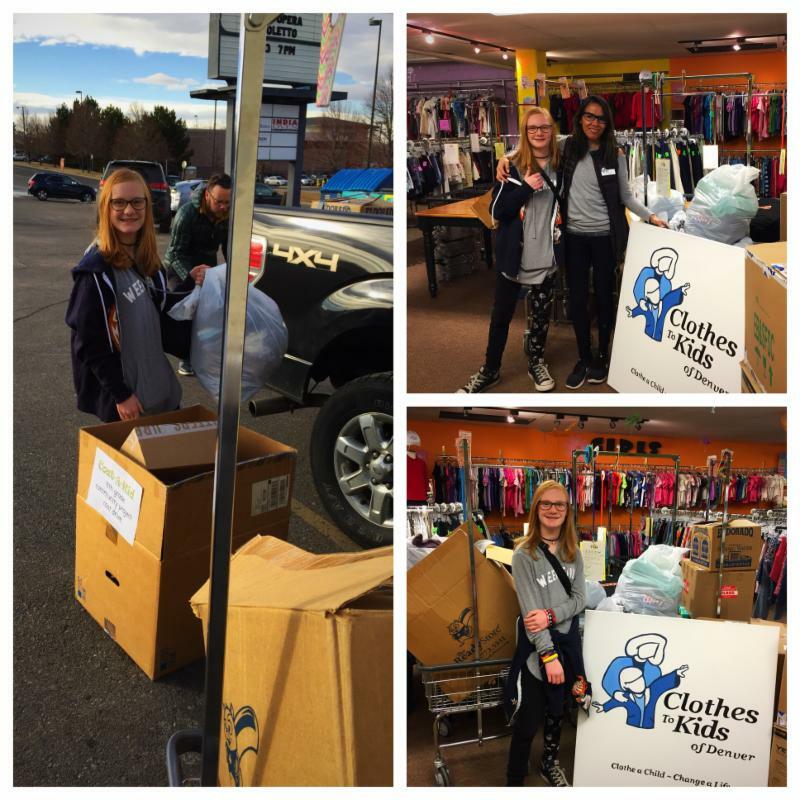 ﻿ Our latest Student Ambassador , Keira , is an 7th grader from Boulder who decided to hold a clothing drive for us as part of a school project. She sought us out (and made the long drive to deliver her collection!) because she is very passionate about both recycling and giving clothes to those who need them. Thank you for your enthusiasm! ﻿Kudos to our super-crafty volunteer Kori for creating these amazing shirts! Kori scours the racks of thrift stores for great pieces, then adds fun touches and updates that our shoppers love. We are so grateful for your service! Thank you to our wonderful "deal finder" volunteers for filling our racks with great finds from retailers and thrift stores across Denver! 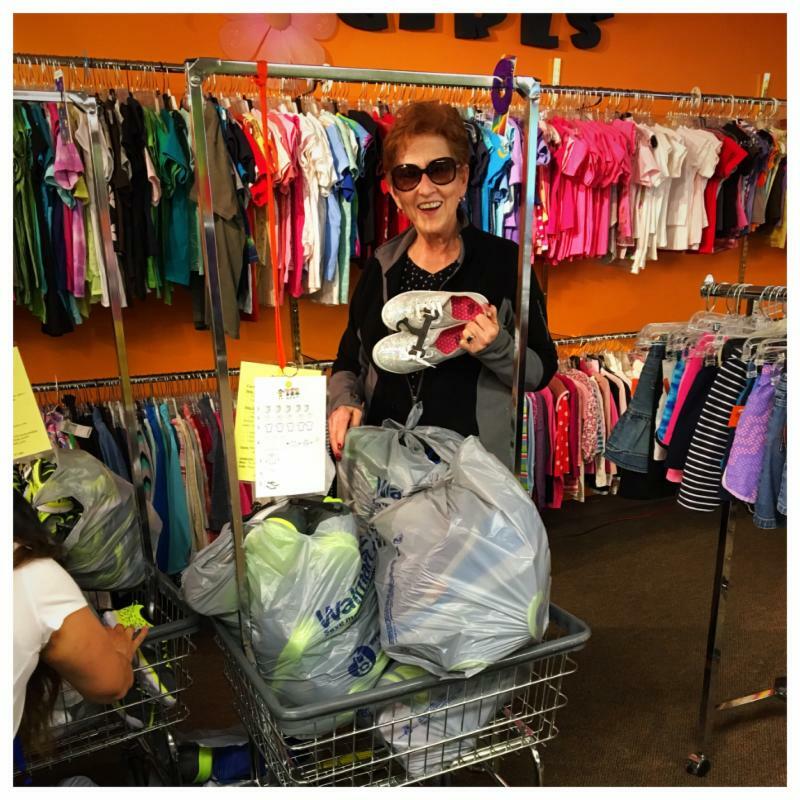 Nancy (pictured here with one of her many loads of clearance shoes), Kathy , Patty , Marie , Michelle , Aliza , Judy , Jenn , Sarah S. , Sarah H. , Paula , Jan and Victoria work hard to make sure that every shopper has a great selection during their visit. 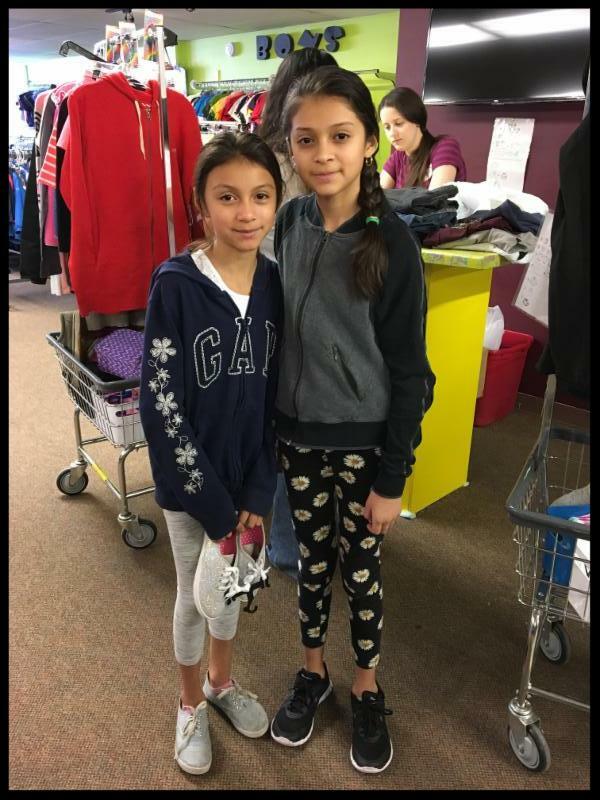 Frances (left) decided to celebrate her birthday by volunteering at Clothes To Kids with her family members Riely and Alex . Thank you all for your service. Happy Birthday, Frances! 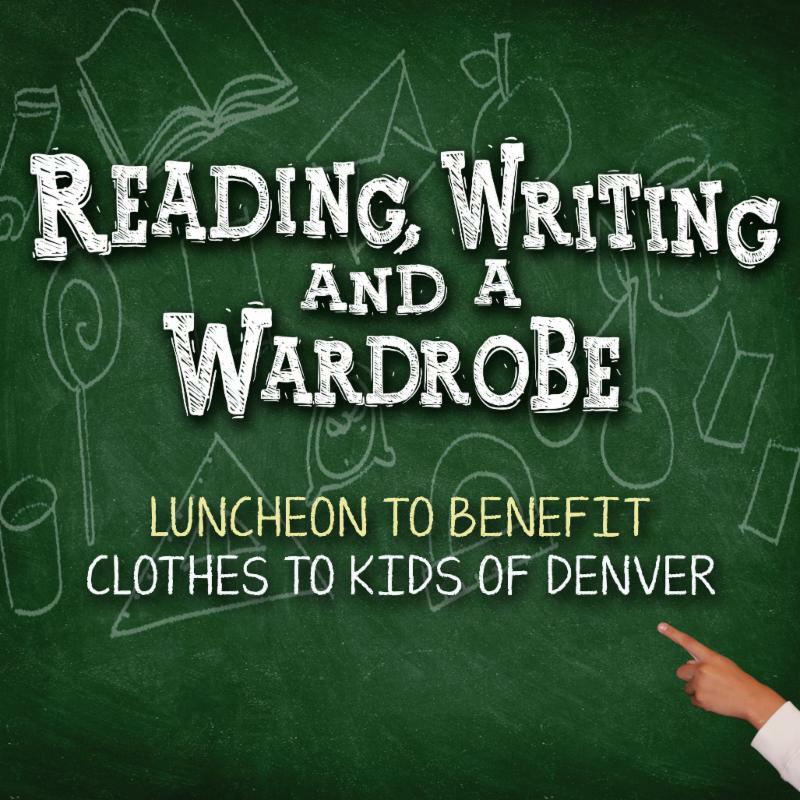 have agreed to match every financial gift made at the Reading, Writing and a Wardrobe Luncheon, up to $25,000. This is an incredible opportunity to increase the impact of your gift and help us provide 10,000+ wardrobes in 2018! 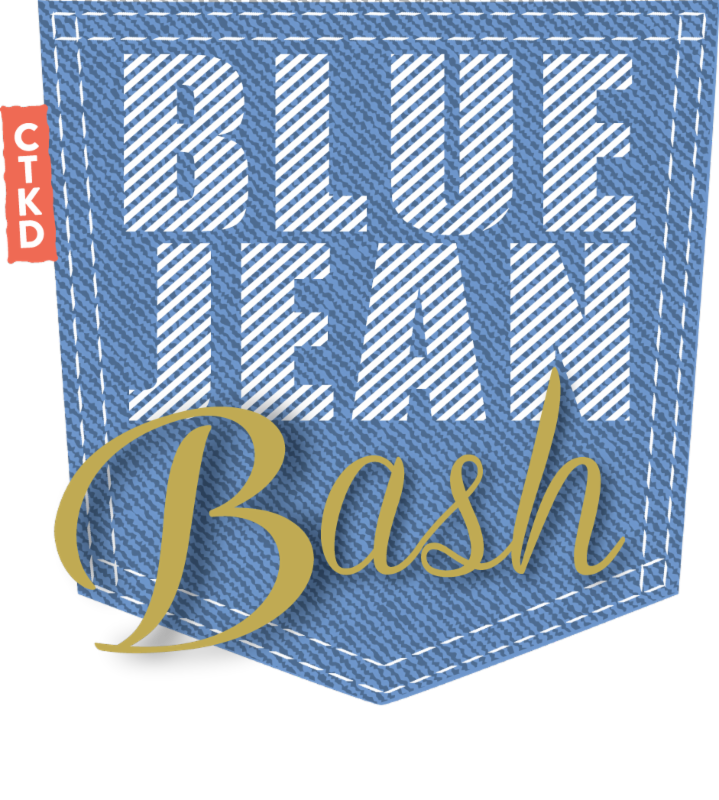 Save the Date for the Blue Jean Bash! at CU South Denver in Parker, CO.
Want to help us make this our best Bash yet? 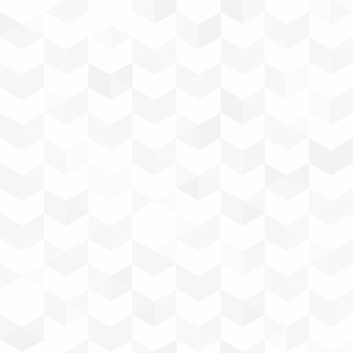 Contact Valerie Lunka for information about joining our planning committee. 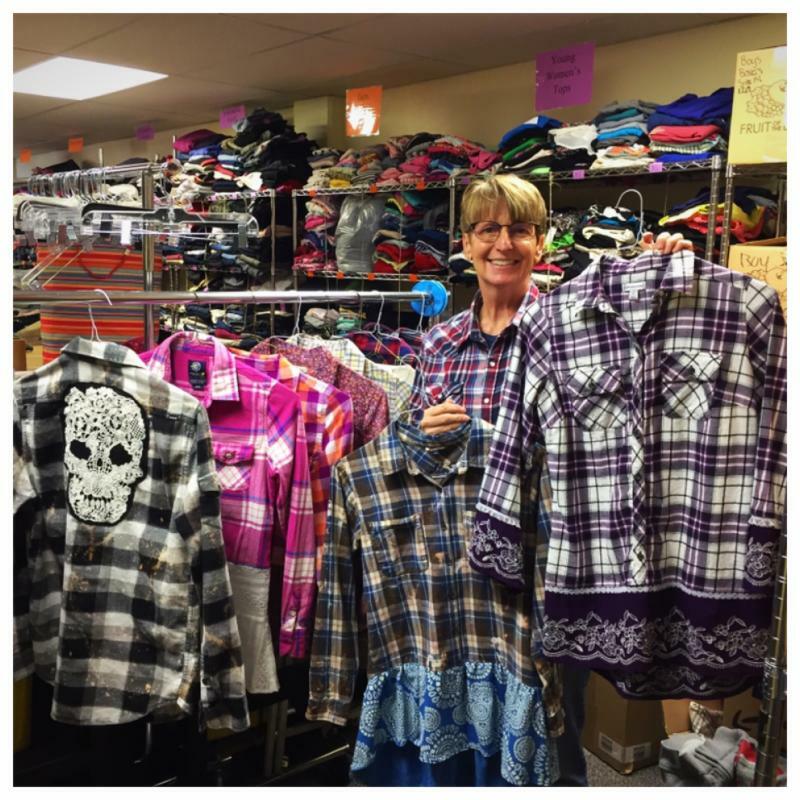 Clothes To Kids of Denver provides new and quality used clothing in a store-like setting to students from low-income or in-crisis families in the Denver Metro area. 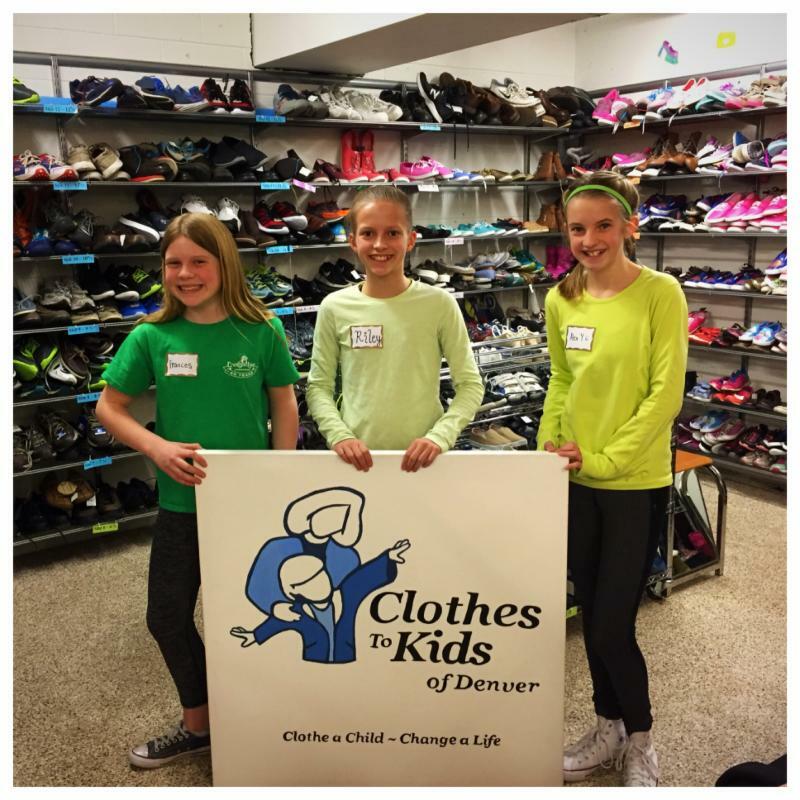 Since 2008 CTKD has provided more than 45,000 school wardrobes to students in need, completely free of charge. Please join us in celebrating our accomplishments of the past, and help ensure our continued success in the future. Visit us online at www.clothestokidsdenver.org or call 720-379-4630.